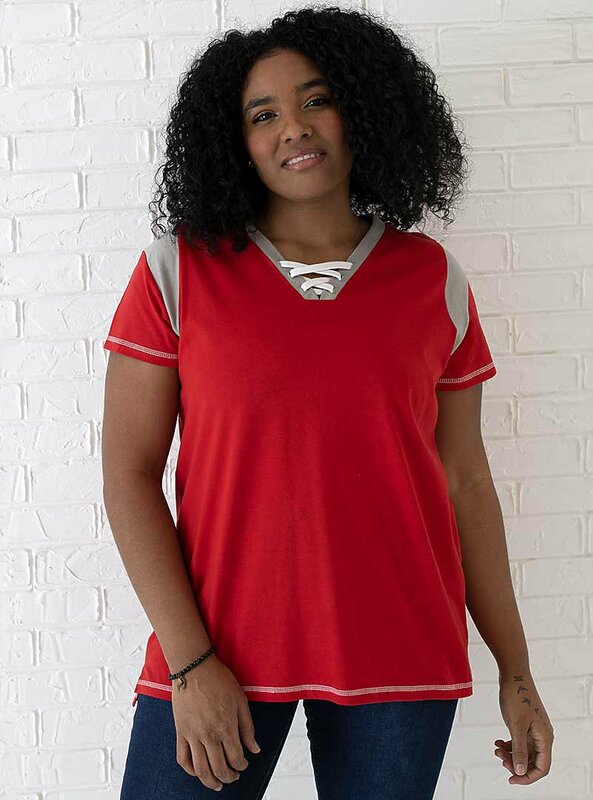 Show your team spirit on game day with these stylish lace up tees! Note: Color descriptions indicate Body/Trim/Drawcord colors, e.g. Hot Pink/White/Black indicates Hot Pink shirt with White trim and Black drawcord.